Click on one of the categories below to start shopping. You have to be a member to earn points, it is free to Register. Click Members Area to login (and logout) before continuing. Young Living The world leader in essential oil and oil-infused nutritional products. Absolutely Gorgeous Sells "Australian made pure, natural and organic skin care and baby care products...things to make you feel healthy and above all...look Absolutely Gorgeous!" 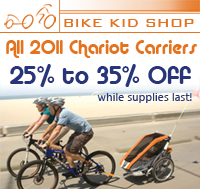 BikeKidShop.comSells balance bikes, training wheels, Child trailers, "trailer cycles, bike child seats . . . children's bike clothing and helmets, as well as a range of other products and accessories aimed at encouraging kids to cycle in safe, fun, and convenient ways." Ethical Superstore Sells "gadgets, gifts, cosmetics, foods, beverages, CDs, books, DVDs plus handmade lifestyle and fashion products, from "the major fair trade and green brands including Cafedirect, Traidcraft, People Tree, Green & Blacks, Divine, Ecover, Freeplay, EcoZone, Solio and many more." Greentopia Sells Eco Books and Toys, Solar panels, efficient lighting, water saving products, gift ideas, and more. Green Organics Sells natural organic hair and skin care (including baby and pregnancy skin care) & makeup brands. Greentopia Sells Eco books and toys, solar panels, efficient lighting, water saving products, gift ideas, and many more. Fashion-Conscience Sells "eco, ethical, and vegan fashion [boots, flats, jeans, dresses, and more], accessories and beauty," mostly for women, "sourced from the leading brands in the UK and internationally, but also many exclusive lines that can only be found online." DNA2Diamonds Sells Conflict Free custom-created Diamonds made from the Signature Carbon Taken From Hair or Ashes. DNA2Diamonds makes Genuine Diamonds that Last Forever. Solay Wellness Sells several products to help you relax, as well as, products for yoga, cleaning, bath and body, kitchen, pets, bedroom and more. The Raw Food World Sells raw supperfoods, supplements, blenders, and kitchen utensils. BikeBagShop.com Sells "Bicycle Bags, Panniers and Racks . . . [and offers] the largest variety of high quality touring and commuting bags." BikeTechShop.com "Has the best products and the expertise you need to make intelligent choices about cycling with circuitry." BikeTrailerShop.com Bicycle Bags, Panniers and Racks. We are the source for the largest variety of high quality touring and commuting bags. BikeBagShop.com Sells Bicycle Panniers, a large variety of high quality touring and commuting bags, and a large variety and styles of bicycle racks for your bags. 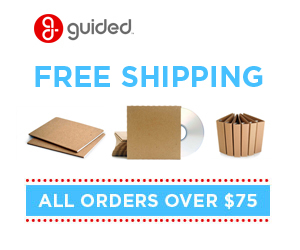 Guided Products Sells office products (binders, business cards etc) most of which are made from recycled material. DNA2Diamonds Capture Your Precious Memories in a Diamond that Contains the Essence of Your Pet or the Both of You. DNA2Diamonds sells Conflict Free custom-created Diamonds made from the Signature Carbon Taken From Hair or Ashes. DNA2Diamonds makes Genuine Diamonds that Last Forever. 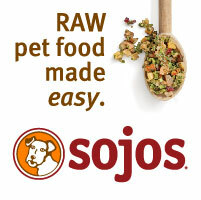 Sojos Sells natural and nutritious food and treats for cats and dogs.